ETS Risk Management has provided Executive Protection, Secure Transportation and Event security services for Fortune 100 and VIP clients in Ecuador. Through our local, trusted and vetted partners we are able to provide a range of vehicles including armored vehicles, bilingual security drivers, close protection officers armed and unarmed, and risk management consultancy. Ecuador is considered a MEDIUM risk travel destination. The risk of civil unrest in Ecuador has been high in recent years, as both a symptom and cause of political instability. 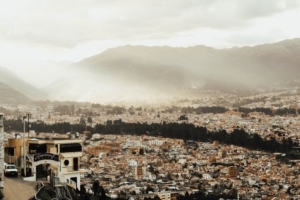 Adequate medical care is available in Quito, but standards fall below international levels. Medical care is substandard outside major cities. Muggings, robbery of personal effects, and pickpocketing are common, particularly in the cities. Road accidents are also common, especially during the rainy season. A poorly maintained road system and reckless driving add to a considerable number of traffic deaths per year.